Whether you ship domestic or export cargo using ground transportation, you might think that your products are safer than they would be on a plane or at sea. But the truth is that your products could get lost or damaged regardless of which shipping option you use, so it’s very important for you to obtain cargo insurance before sending anything out. With international cargo insurance from TJO Cargo, your exports will be covered in the event that they don’t end up making it to their final destination. 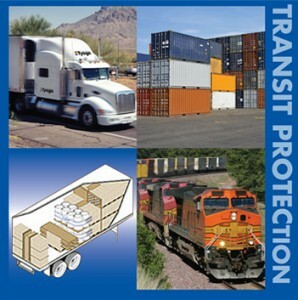 It will protect your rail cargo and freight and give you the peace of mind that comes with knowing your business won’t take a serious hit as a result of a shipment gone awry. From household items to frozen commodities, all products run a risk of being damaged or lost during the shipping process. Train cargo might seem safe, but between products shifting while en route to their destination and being loaded and unloaded, there are always risks associated with exporting. By working with a qualified shipping company, you can reduce these risks, but signing up for cargo insurance is really the only way to guarantee that you won’t suffer financially as a result of missing or damaged shipments. At TJO Cargo, we can set you up with the right international cargo insurance strategy, based on your specific needs. TJO Cargo offers excellent customer service to all of our clients in addition to fair cargo insurance quotes. Whether you’re planning on sending out a single shipment, or exporting products on a daily or weekly basis, we can cover all your international cargo insurance needs. Ground shipments should be covered at all times, and TJO Cargo can make it happen. You won’t have to worry about expensive shipments when you have the right cargo insurance strategy protecting them. To get a free international cargo insurance quote from TJO Cargo, call (904) 781-6531 today and ask about what will be covered under your insurance strategy. I would like to take the time and let you know that you and TJO Cargo are doing a wonderful job. Over the past 3 years, you have made our business much easier by providing us with your excellent service. We feel since we starting working with you, we were more confident to load containers because we know that by you handling the insurance, we have one less thing that we need to worry about. You’re always really quick in answering the e-mails and if we need to reach you by phone for any reason, you are always on the other end ready for business. The way that you handle the issues that occur with vessel changes, sailing date, etc. is remarkable and we don’t even feel any pressure at all. We know we have put the right person in charge and it’s one thing that we can cross off our list. I can say with 100% confidence I would like to recommend you Tom to any person out there that needs to insure a container and trust me they won’t be anything less than satisfied to the max. You are very professional, friendly, and your enthusiasm is contagious. I have been doing business with TJO Cargo for a number of years. Tom O'Malley is wonderful to work with! He always provides a prompt quotation on our insurance needs and presents us with the Certificate of Insurance immediately. TJO doesn't just provide us with our insurance needs ... Tom O' Malley is a wealth of knowledge on anything having to do with shipping! Our firm is involved in the import and export of chemicals and dyestuffs. We recently had an experience with one of our export containers where the steamship line refused to accept the container because the corner pin was bent. Perhaps our trucker should have noticed this before picking up the empty container, or perhaps the corner pin got bent somewhere during transit to our supplier. It was necessary for the loaded container to be returned to the supplier for off-loading and re-loading into another container. Tom guided us in what to expect in terms of additional costs and how to negotiate with the trucker. That's just one example of the many services TJO provides, in addition to insurance! It is with pleasure and gratitude that we share our experience with TJO Company and Tom O’Malley. Approximately a little more than a year ago we were looking for a company to insure and protect our cargo during transportation. We came across TJO Company and Tom O’Malley to fulfill those needs. Not only did I find a broker with exceptional pricing, but Tom has shown how passionate he is about his job. He provides dynamic, professional, and high quality customer support that has been second to none. That same professionalism and first rate service was even there during the processing of a few damage claims. When it has mattered most Tom has proven to be a professional you can truly count on. If you are looking for first rate broker and company to protect your assets, you need look no further than TJO and Tom O’Malley. I am very happy to give TJO Company and Tom O’Malley my highest recommendation. You will not be disappointed. Since we started working with TJO CARGO we can rest and sleep in peace. They have been much more than a regular vendor due they really go further beyond to satisfy our expectations and needs. They are simple the best and have all the experience, knowledge and kindness to assist and educate you and your team about Cargo Insurance. Thank you Tom O'Malley and your TJO team for helping us growing. I look forward to continue doing business with you for many many years more. – Gary Kesser, CEO TradeHelp.